Till September of 2015, I was a corporate lawyer working at one of the top law firms in India. I made a decent living and had no plans of giving the civil services examination until then. Both my parents are All India Services Officers but I was never encouraged to apply to the civil services as a child. As I grew up, I only saw the civil services from the eyes of my parents and their friends in the service. They are a bunch of brutally honest officers, who have had their fair share of trysts with the political system. I have seen officers who work day and night being given no credit for their work, and living under the cloak of anonymity. I have seen officers being lynched by mob for no fault of theirs. I have seen honest officers being implicated under Section 13 of Prevention of Corruption Act, often for merely taking a decision instead of leaving the file pending like most government officers do. My own mother was falsely implicated under the Prevention of atrocities against SC & ST Act for merely doing her duty of preventing encroachment of the last remaining patch of good forest in her district. To top it all, many honest officers feel they are not paid commensurate to their ability and work. I have seen that a one person salary of an honest officer sometimes makes it difficult for ends to meet. These reasons had initially deterred me from joining the services. However, what I completely missed was seeing the impact the civil servants (more particularly my parents and their friends) have had on other people’s lives. I began to see the other side after meeting an artisan in 2015. At first sight he looked like a simple person from a humble background, and the SUV he was coming out of seemed completely out of place. When he saw me, he called me by name, even though I was sure I had never seen him before in my life. He told me that I am a spitting image of my father who was responsible for changing his life and the life of his entire village. As the chief development officer of his district, my father had implemented the TRYSEM scheme of the Government of India where he trained uneducated youth to do sandalwood carving. The trained individuals trained others while organizing themselves into a cooperative producer-company which changed the fate of the entire village! This incident had a great impact on me. I started to compare my job with that of my parents and for the first time I felt that my present career does not provide the meaningful life, I suddenly craved to have. Thus, I decided to give the civil services examination. I liked to read the Hindu and Frontline in hardcopy and make notes from them in hardcopy. However, I always kept internet handy to look up more information about current affairs. It is important to read a little more than the NCERTs and the basic books. I used to add extra information on important topics from the web onto the margins of all the books. I think it is important to condense the reading material by making notes or mindmaps. I even ended up making mindmaps and tables out of Laxmikanth! For optional subjects, this is doubly important (due to paucity of time, I was not able to make notes for the optional subject, for which I suffered). Comment: Do prepare a timeline of important events for revision. Comment: My strategy was to have a general idea of the art forms and not to memorize anything. Trying to visualize and taking an interest here helps immensely. Do solve the past years question papers given at the end of Laxmikanth. Comment: Please go through the international conventions and the Indian laws on environment in detail. Keep an eye out for developments in the field of climate change and renewable energy. Comment: Map pointing is very important for geography. I used to look at my atlas whenever free. Comment: At the time of final revision, I was able to go through only my notes. Tip: Instead of mugging up all information from the current affairs booklet, try to make note of similar patterns. For instance, I had noted that all frog related research in India seemed to be happening in the Western Ghats while new species of fruit trees were being discovered in Andamans. Who knew such trivial observations could get me marks in prelims! I haven’t gone through the prelims 2017 paper but I do not think making wild guesses is a good strategy. Try to eliminate as many options first. If in the end only 2 options remain with one being more likely than the other, then one may take a chance. One tendency, I would like to warn everyone against is that based on one question asked in one year, do not plan an entire strategy. For example, just because one question was asked about an endangered reptile in one year, does not mean one should memorize names of all endangered species of India for the next year. Sticking to basic books and keeping abreast with current affairs is a better strategy. It is not a good idea to ignore CSAT-Paper 2. Solve a few papers to assess your strengths and weaknesses. Accordingly, come up with a strategy to cross 66. I realized that I rarely got a comprehension question wrong but found math difficult. My strategy was to first answer all the comprehension questions, then solve the easy reasoning questions followed by easy math questions. Time is of the essence, hence there is no point trying to solve a difficult math or reasoning problem. I did attend mock tests (around 20 in total). I think they are important to get a feel of the examination hall. It helped me in time management and in forging a strategy for myself. My strategy was to first answer the questions that I was 100% sure of, while marking the ones I had no idea about (I never relooked at these.) Then, I tried to use the elimination method to arrive at an answer for the remaining unmarked and unanswered questions. your regional language I have seen my Hindi speaking friends fail the Hindi examination and hence, I did not take this paper lightly. I tried to write a few essays in Hindi and memorized some basic ‘Paryayvachi shabd’ and ‘Muhavare’ from the web. The compulsory papers are not difficult and do not require high level of preparation. However, over-confidence must be avoided. Also, it is important to get a good night’s sleep before the language paper. I had been preparing for my optional paper all night before the compulsory language papers and could barely keep my eyes open during the examination. Do not write anything remotely controversial. Never choose a topic where you have to pick sides. More than knowledge, essay is about presentation and language skills (use simple language which is grammatically correct). Strategize first and then start writing. Quotes are over-rated. One does not have to sit and memorize dozens of them. A sensible introduction and conclusion can be written without any quotes also. Try to make the essay interesting with real life examples and analogies. Do not make it drab, boring or technical. Write a few essays and get them corrected from a third party. I wrote on ‘Water Disputes in federal polity’ and ‘Digital Economy’. I do not remember the content though. Culture Mistake made by me: After discussing with previous year’s toppers, I realized that the ‘mains’ is about strategizing and improving your writing skills only and not really about knowledge. Thus, I skipped revising all my resources for culture, which was a bad idea. world history Norman Lowe- It is better to make short notes from the book. There will be no time to re-read the entire book again. post-independence India Bipin Chandra- Do not skip this section, last year there were numerous questions on rise of regionalism, language issues etc. 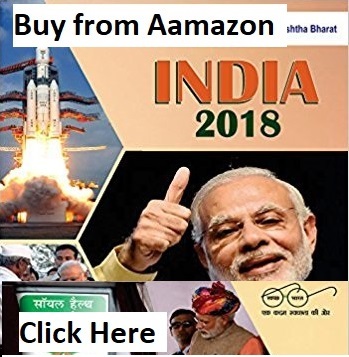 Indian Constitution, devolution, dispute redressal etc. I referred to MP Jain but for non law students, I recommend to revise the entire Laxmikanth before the mains. The mains last year had numerous basic questions on preamble, fundamental rights etc which could have been easily answered if one had revised Laxmikanth. Representation of people’s act Made short notes from the web. Later realized that Vision IAS has a great booklet on this. various bodies: Constitutional, statutory.. Made short notes from the web on the issues plaguing such bodies. Diaspora Made short notes from the net. 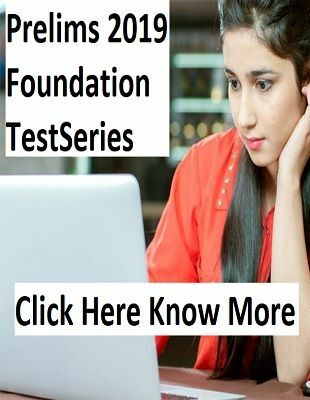 Found certain IGNOU pdf’s to be useful. border Management Notes from newspapers. This was in discussion a lot last year. case studies on above topics I just evolved a general strategy of answering questions. There are only few types of case studies which can be asked. Arihant publication may be referred for the question bank. Basic definitions: These need to be memorized from basic books. One should be able to differentiate between various concepts like ethics, morals and law. Try to give real life examples while defining. Debates in ethics: One should be familiar with basic debates in ethics like means and ends, environment and development etc. There should be strong arguments given to support your side of the debate. Reading and absorbing the 2nd ARC report– It explains exactly what is wrong with the current system and gives suggestions for the same. Use innovative diagrams/mindmaps/tables in your answers. Prepare these separately to differentiate your answer. Opt-P1 3 2 Was not able to answer an easy 15 marks sub-question due to paucity of time. I think it is really wrong to bluff the examiner. It is more prudent to leave the paper blank if one does not know anything about the question. For instance, last year there was a question on Mcbride commission. The question vaguely mentioned UNESCO also, so some of my friends wrote on UNESCO and tried to guess the commission’s mandate. None of them were even close to the correct answer! I tend to write a lot and the fixed space limited me, especially so in the essay paper. I always write point-wise with appropriate headings and subheadings. Structuring the answer properly is very important. Intro-body-conclusion works. Q9. You wrote the answer in blue pen or black pen? Some papers in black and some in blue. But did not mix pens in one paper obviously. No optional does consistently well. For instance, public administration was a dead subject till last year but we have candidates getting 320+ this year! In my opinion it depends on the head examiner. Public administration has suffered in past years, due to some examiners who believed that a candidate who reproduces coaching material does not deserve marks. This may happen with political science next. There is also a tendency to believe that taking a regional language gives a candidate the edge as it would invoke regional tendencies in the examiner. This also may not work in all cases as any literature answer immediately becomes very subjective and chances are that you may be seeing very low or very high marks, both not being commensurate to your effort. Now, Law is different from other arts subject and is a very objective subject. In fact it is often referred to as a science by jurists. If the right case laws are cited with the right analysis, there is very little scope for marks to be deducted. This is where law optional marks of this year are very perplexing, specifically of Paper 1. There seems to be little explanation for why such poor marks were awarded to majority of the students. I have some theories regarding this, but this is no forum to make conjectures. In conclusion, I would urge law candidates to evaluate for themselves if they want to take law optional. If one loves the law, then they should go for it regardless of the present scenario. I chose law as my optional subject. I have studied law for 5 years and have practiced it for over 3 years, there was never any other choice. I would not want to advice for or against it. Internet research is required for few topics. Out of habit, I like to follow Livelaw which is very informative on contemporary laws. I started preparing for the optional only after the notification came out. Never did any answer writing practice and suffered for it. I was not able to complete paper 1. Never really had time for this. I felt that some questions in paper 2 this year were very intelligently framed and were markedly of higher standard than previous years. Paper 1 seemed to be of same standard as previous years. I had a lot of help from my parents and their friends while preparing for the interview. I would specifically like to thank Pradeep Uncle for all the effort he took in framing interview questions and taking mock interviews based on my DAF. Most of my interview questions had already been asked by him before. I played it safe and not only prepared questions my DAF and current affairs but also re-read important law subjects. I did take mock interviews but they were nothing compared to the official interview. Mock interviews are essential to the extent that they give you a little confidence for the D-day. I stayed at Karnataka Bhavan. I had brought my laptop and internet. I wore a mustard yellow saree with a red border. (On hindsight, I should have chosen more neutral colours. Some people have told me that I screamed hindutva with the overdo of red and yellow!;)). I have answered this in the first half. I gave the same answer. [No question on my work experience or my actual home state Karnataka!] Q5. Was your interview on the expected lines of what you had prepared or did they ask you totally unexpected questions? Was it a stress interview, did they ask any uncomfortable questions? If yes, how did you handle it? Interview was on expected lines. It was not a stress interview. Please make sure you give a decent photograph of yours for the application. You are judged on your photograph also! Bring food along as the checkup may take a while. Go back to being a lawyer! This is not a good decision. Paper 1 relies a lot on vague memory based questions and is a bad test of a person’s suitability of being in the service. On the contrary Paper 2 tests basic language skills and mathematical ability which is a much more reliable test. I wish I could say that coaching wallahs are useless and the sincere candidates preparing in seclusion without any financial resources are not at a disadvantage, but this is not true. The bitter truth is that people of lesser means are losing out in the race. My friend who is visually challenged and is studying in Nellore all alone faces this very challenge. 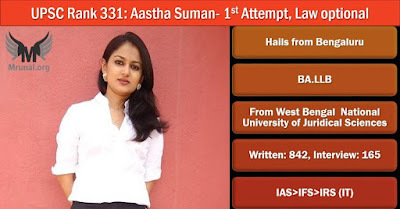 However, unlike a lot of other competitive examinations, UPSC ensures that civil services is a fair exam and a slum dweller or a rikshaw puller can also dream of making it here but they obviously have a much harder path to trudge to reach the destination. I have personally not suffered from this insecurity but have met individuals who have similar fears and insecurities. I think such fears are not well founded as UPSC tries to make a level playing field and encourages diversity. Such fears are only in the mind and have no basis in reality. I had the opportunity to meet an IPS officer recently, who is son of a poor landless farmer and who has had education only in the vernacular language. He couldn’t speak English before he joined the service but he has never let that stop him from achieving his dreams. He is till date not shy or insecure about his background. In fact, he is proud of it and why shouldn’t he be? Anyone who is judging you only based on your wealth or occupation or ability to speak in English is just not worth your time. My biggest solace was that I had decided that I was giving the examination only once, which kept me going. Also, my years at the law firm where we slogged for 70-80 hours a week had prepared me for the hard work. 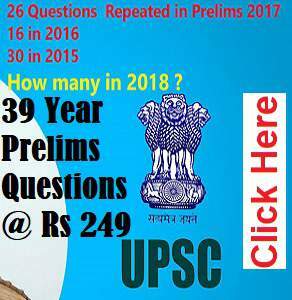 I just want to tell the aspirants not to make UPSC your whole life. Having grown up with people in the service, I am at position to say that clearing UPSC is not panacea to all problems. The civil services are but a job and should be taken as such. I would like to thank my mother Mrs. Ritu Kakkar, who has made supreme sacrifices for me, even at the cost of her health. Then my father, Mr. Sanjiv Kumar and sister Ms. Upasna Suman, who have been the voice of sanity in the past year. Mr. Pradeep Kharola for all the weekends he sacrificed mentoring me, even while holding the busy Namma-Metro post. Mr. Kedarnath and Mr. Nimbalkar for showing great faith in my abilities at the toughest of times. Finally, my friends Jayant and Dipika, for not letting fun escape from my life.